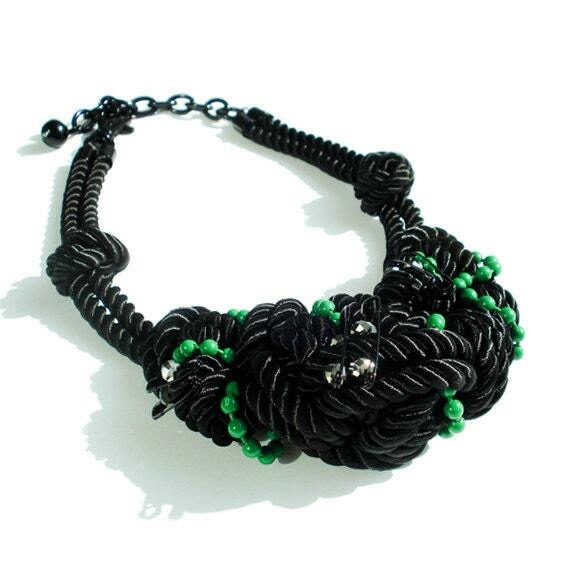 Bring out Edgy and Chic side of you at the same time with this necklace! 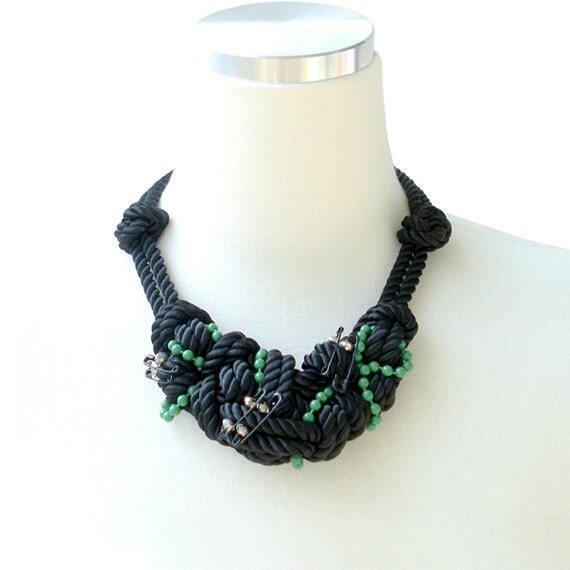 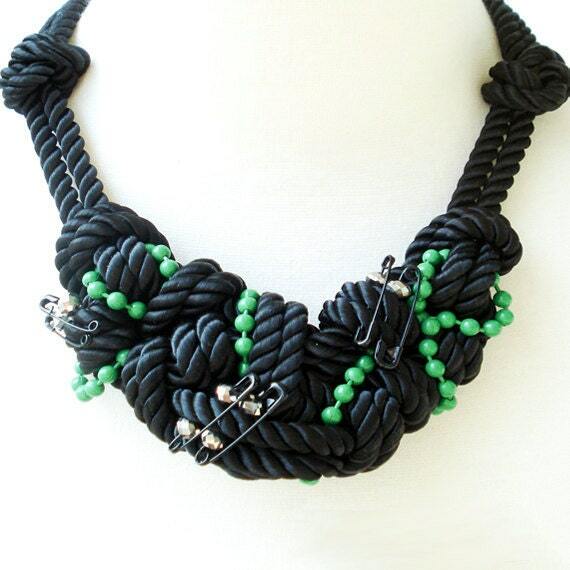 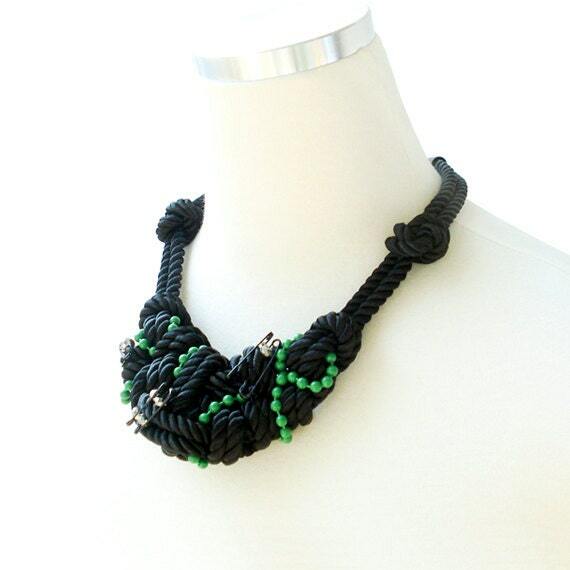 Black Knotted Rope Necklace accented with Safety Pin, Beads and Chain. 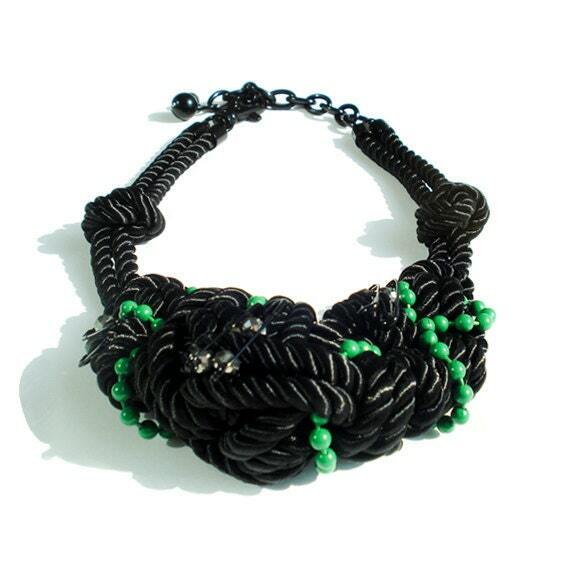 This necklace has great material twist to bring out your Edgy and Chic sides at the same time.